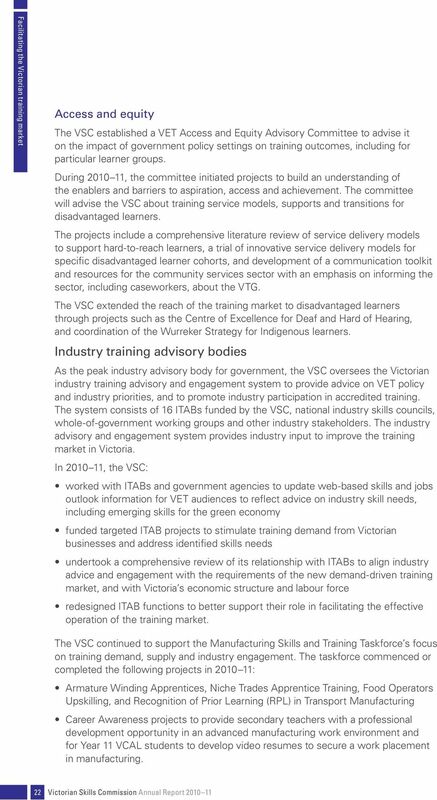 Download "Facilitating the Victorian training market"
Central Land Council s Submission to the Australian Government Review of Indigenous Training and Employment Programs. 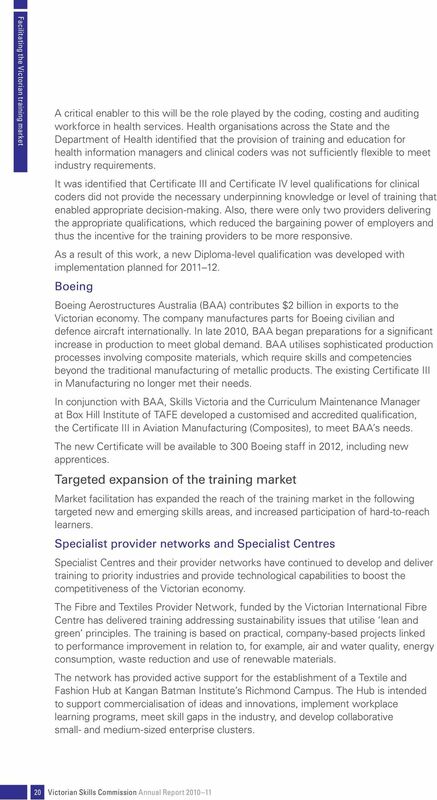 School Strategic Plan for Box Hill Senior Secondary College (7050) 2015-2018 Endorsements Endorsement by School Principal Signed. 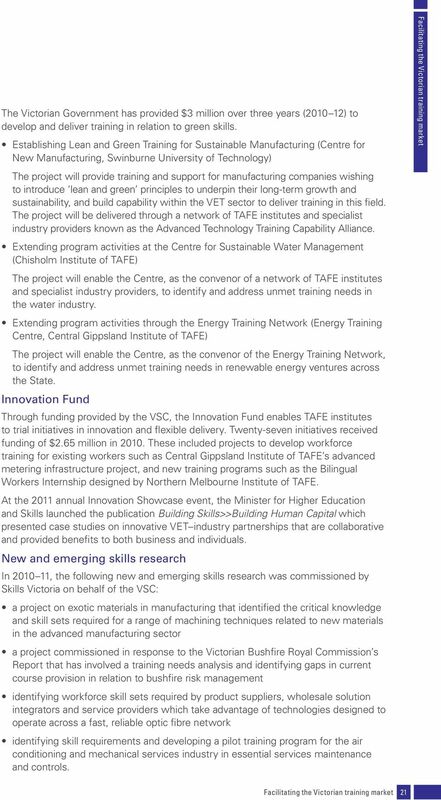 Name Steve Cook Date March 24, 2015 Endorsement by School Council Signed. 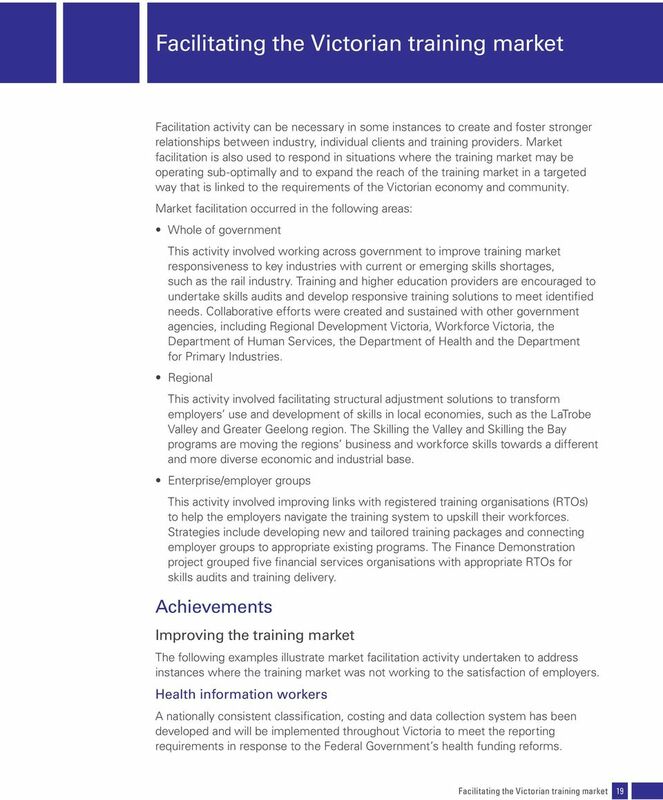 E-Learning Learnings from Vocational Education in Victoria, Australia Investment and innovation to better support industry and learner needs Skills Development Skills Development for National Development.